5,000 years ago, the Egyptians ingested gold for mental, body and spiritual purification. The ancients believed that gold in the body worked by stimulating the life force. 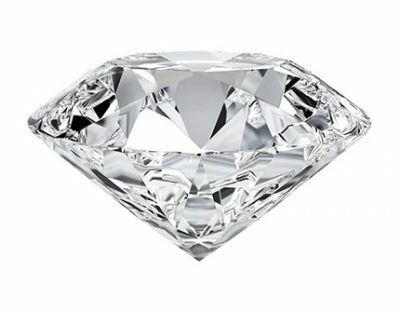 Philosopher Pliny the Elder (23-79 AD) said the diamond “prevails over all poisons and renders them powerless,” citing diamond powder’s curative properties. Those beliefs have carried over to today, and you are just as likely to encounter the precious metal and gemstone in beauty products as you would in your jewelry box. The skincare specialists at KNESKO are pleased to offer the latest in gemstone-infused and mineral-infused collagen-based skin treatments, combining revolutionary GEMCLINICAL™ technology with transformational healing. These products, purchased together offer incredible value for the ultimate in self-care and at-home pampering. Use them together or treat individual areas as desired. 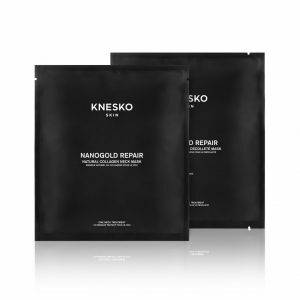 Formulated under a team of doctors and combining ancient wisdom with modern science, KNESKO has created a luxurious, collagen-based line of facial masks intended to make your skin glow with the help of the healing properties found in polypeptide and colloidal gold. 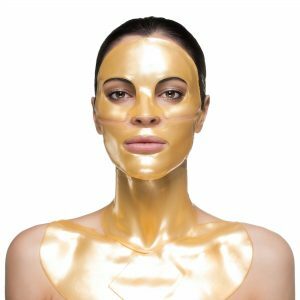 Colloidal gold refers to the suspension of gold nanoparticles in liquid, resulting in a highly effective mineral supplement with distinctive healing properties that are meant to firm, lift, hydrate, calm redness, and reduce inflammation in the skin. 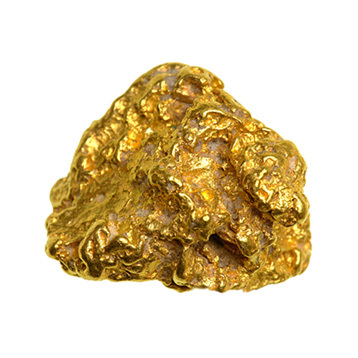 Gold – a symbol of purity and spirituality – allows beauty and joy to flow into your life. Experience your own personal gold rush with this signature facial set. 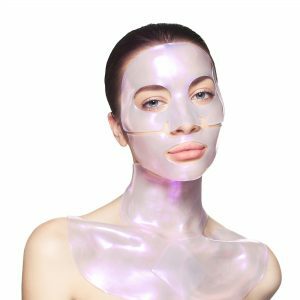 This exclusive mask combo is designed specifically to refine the delicate neck and décolleté areas. Using the same polypeptide and colloidal gold suspension technology found in our full signature facial set, this winning combination treats these sensitive areas that are prone to premature aging due to sun-exposure and free radicals in the environment. 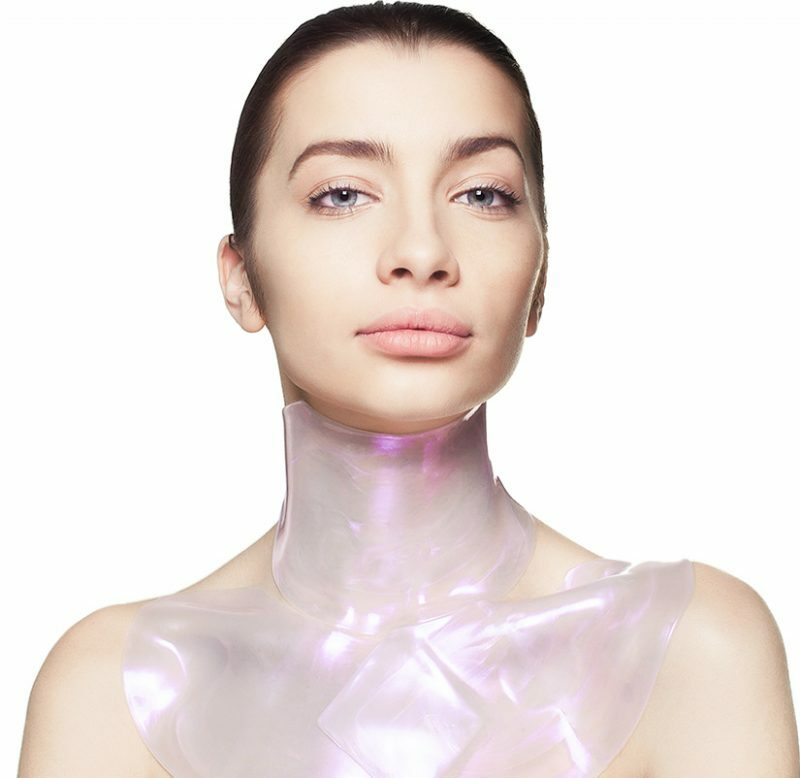 KNESKO users claim age-defying benefits with weekly use of the neck and décolleté combo set. 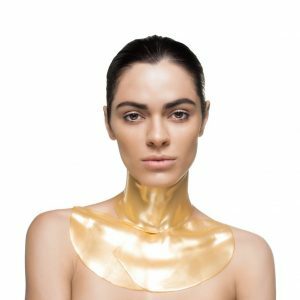 Like our Signature full facial set, this gold neck mask combo also harnesses the healing energy of Reiki to deliver a truly transformational experience. 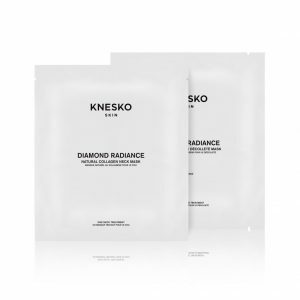 Experience the power of diamonds and the benefits of polypeptide skincare technology with the entire Diamond Radiance Facial Set by KNESKO. The complete facial set includes masks for the face, neck, décolleté, eyes, and lips. Use them together for maximum impact, or apply treatments as needed to each individual area. Made in consultation with leading dermatologists and chemists, the Diamond Radiance Collection represents the latest GEMCLINICAL™ technology in collagen facial treatments available anywhere. Each mask in this gorgeous set is infused with diamond microparticles. These diamond microspheres are the perfect delivery system of the gemstones’ active healing properties directly into the deepest layers of the skin and promote exfoliation, regeneration, and longer-lasting hydration. Each mask in this luxurious facial set has been infused with the healing power of Reiki and is meant to balance your energy as well as it balances your skin. Diamonds are a girl’s best friend, now for more reasons than ever. 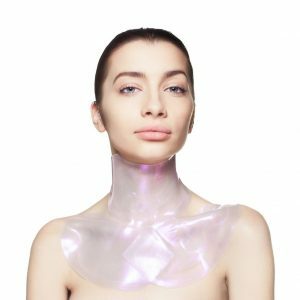 Polypeptide technology and diamond powder combine to help reverse the visible signs of aging in what are perhaps two of the most vulnerable areas of the body- the delicate skin of the décolleté and the neck. Our Diamond Radiance Neck and Décolleté Mask Combo gives this sensitive area the attention it deserves with regular mask treatments designed specifically to treat sun spots. hyperpigmentation, and uneven skin tone in this often-neglected area. Collagen and diamond microparticles work together to promote longer-lasting hydration and brighter tone, while the healing power of the diamond produces enhanced energy and illumination from within. 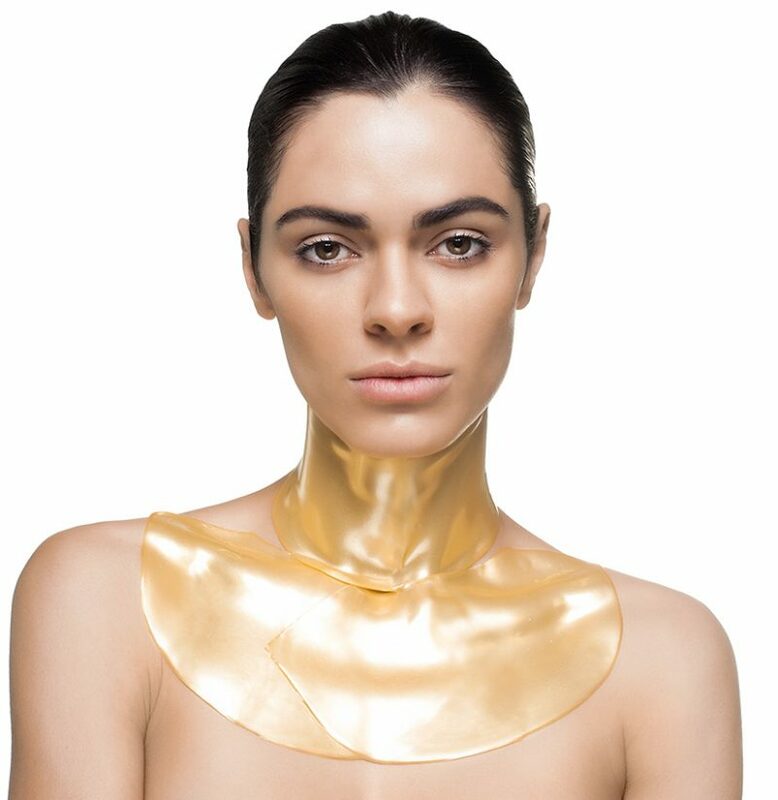 Diamonds really are forever with this exclusive diamond neck and décolleté mask combo by KNESKO.